Ajnesh Prasad is Research Professor at EGADE Business School. His research interests focus broadly on entrepreneurship, gender and diversity issues in organizations, and interpretive methods. His research has been funded by several national agencies including the British Academy (UK), CONACYT (Mexico), and the Social Sciences and Humanities Research Council (Canada). He has held academic appointments at universities in Australia, Canada, Israel, Mexico and the United States. 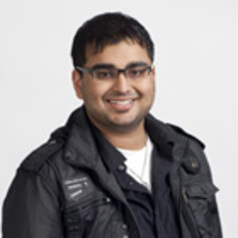 Ajnesh earned his PhD from York University's Schulich School of Business, and wrote much of his dissertation as a graduate research fellow at Yale University.